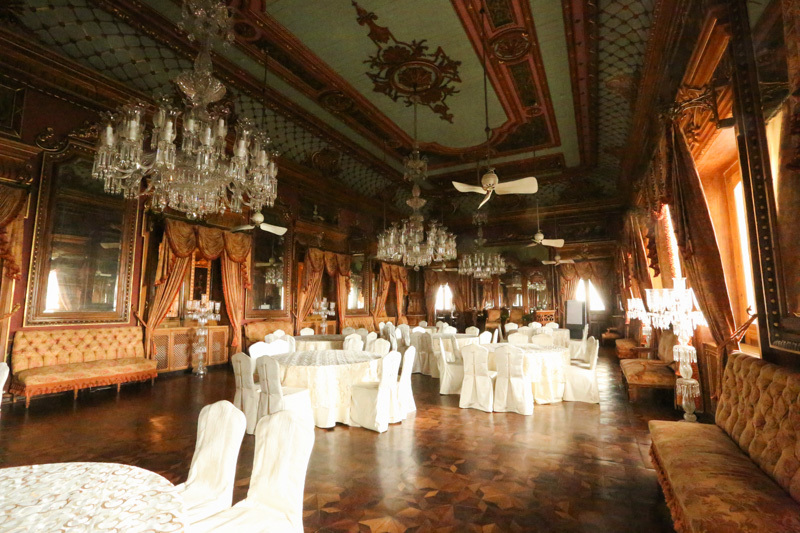 The Secret Places of Taj Falaknuma Palace! 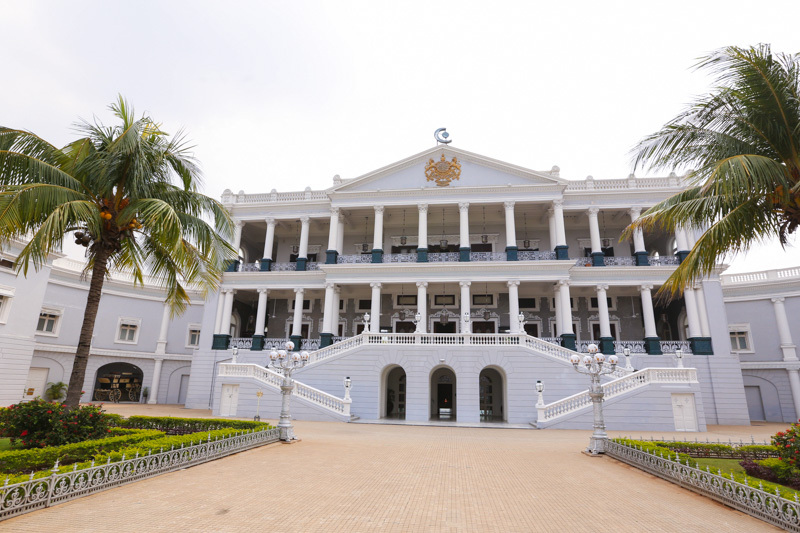 The view of Falaknuma from outside. 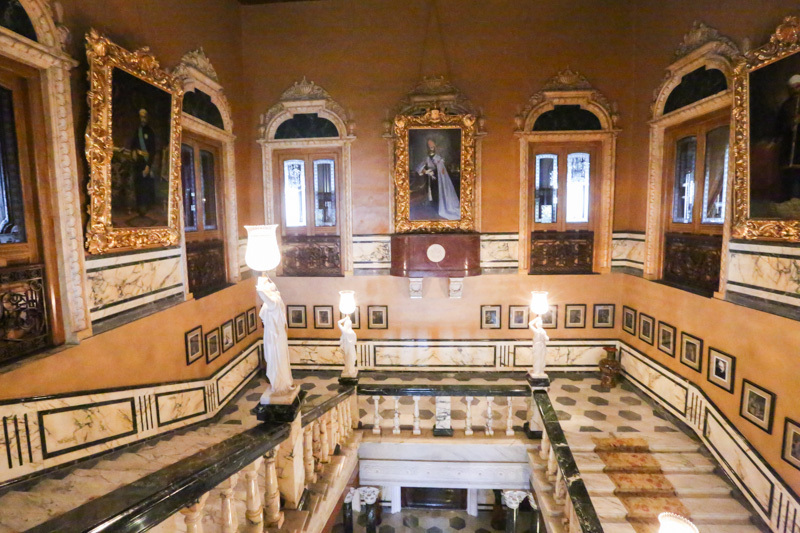 Falaknuma Palace is also known as the ’mirror of the sky‘ because at 2000 feet, it was built in the clouds and reflects the ever-changing moods of the sky. The foyer! 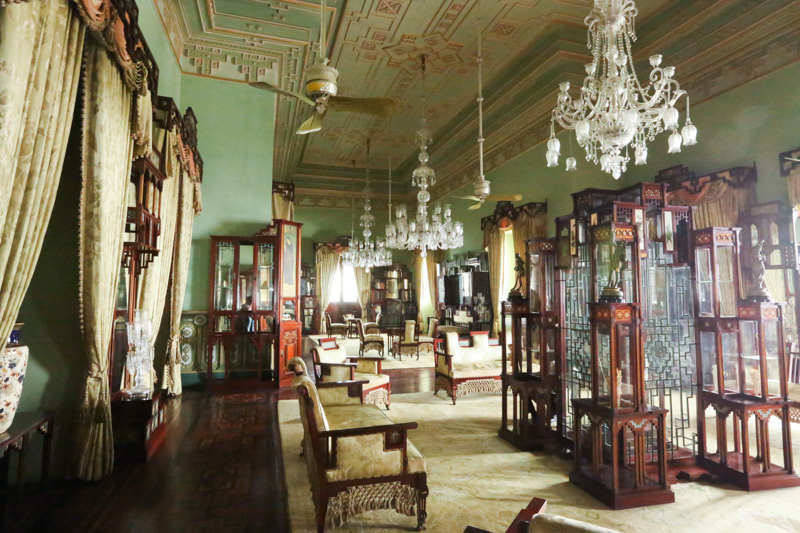 Jade Room : this room has rare collections of jade along with priceless treasures collected from around the world, Victorian style hand-painted ceilings and Belgian cut-glass chandeliers. 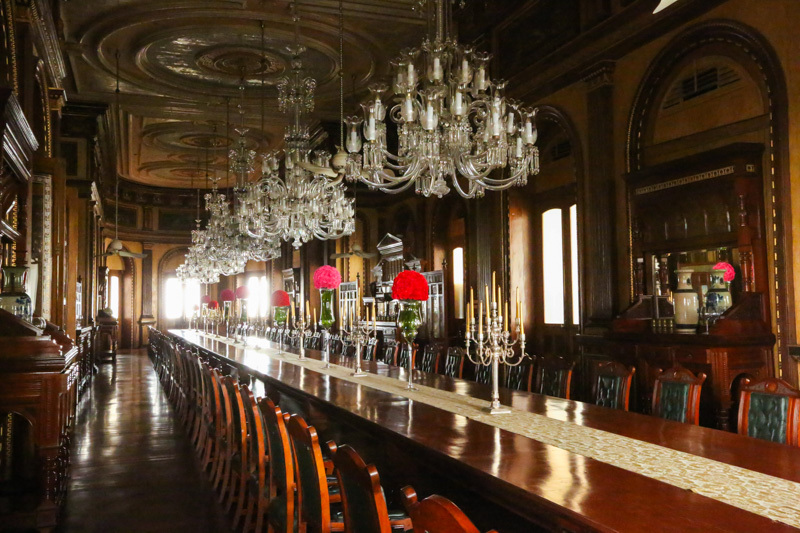 The very grand 101 Dining Hall. It is considered to be the largest in the world. 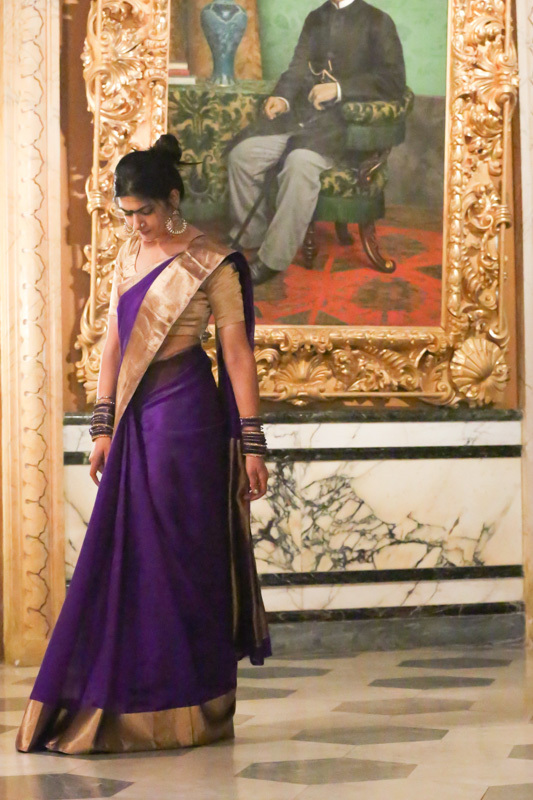 This entry was posted in Outfits, Travel and tagged falaknuma Hyderabad, hyderabad, karvachauth outfit, karwachauth, purple, raw mango, saree, Taj Falaknuma Palace, taj hotels. Bookmark the permalink. 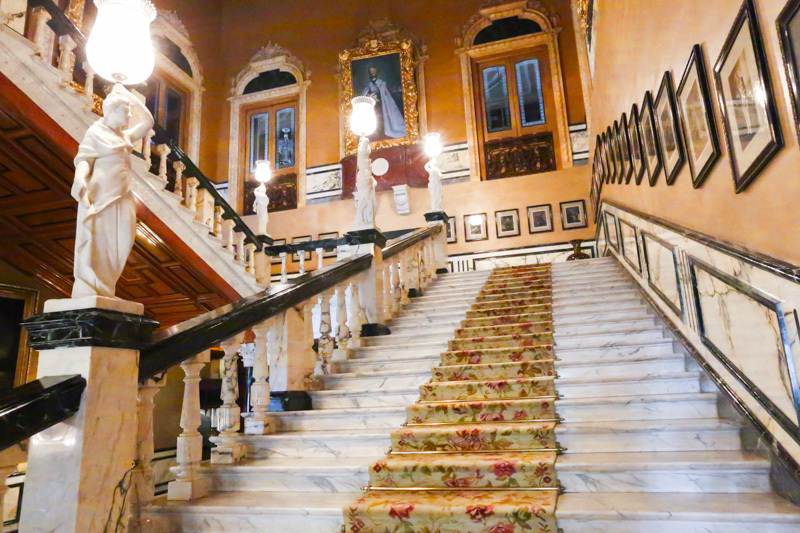 56 Responses to The Secret Places of Taj Falaknuma Palace! 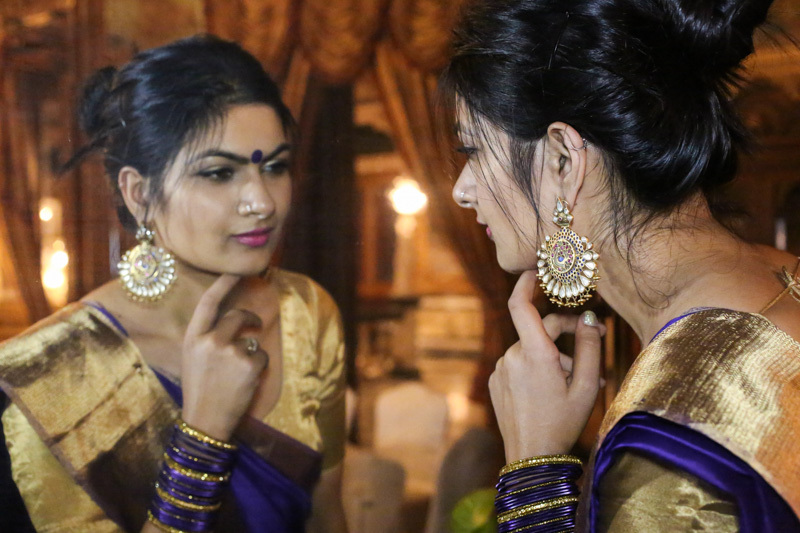 And BTW, you had said in ur previous diwali post that u dont know to tie a saree. Did u learn it now? Very neatly tied saree I must say. Kudos for the royal look. 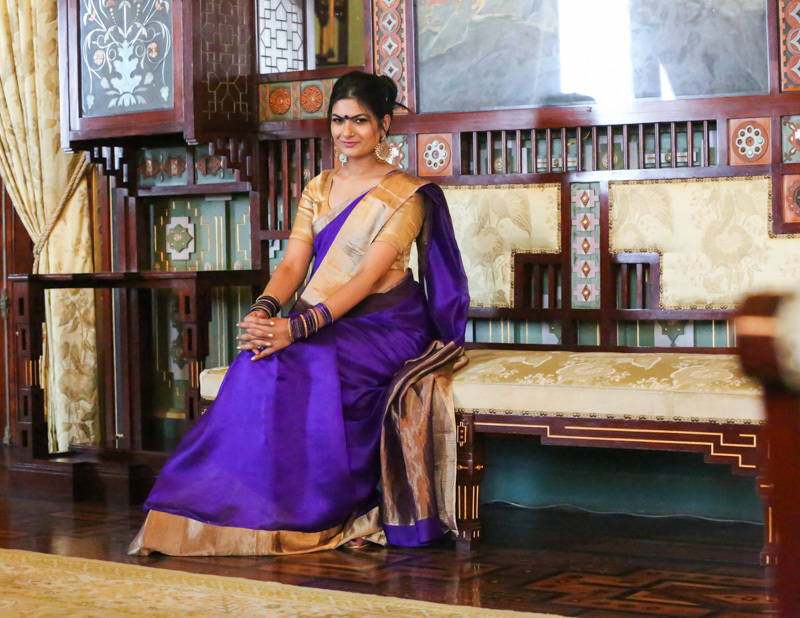 super elegant and so traditonal….. Divine!!! Happy Karvachaut Rati n Sanjeev, may u guys have a long and happy life together!! Now I need to get me some Raw Mango in my life..
Gorgeous look Rati! You look divine. 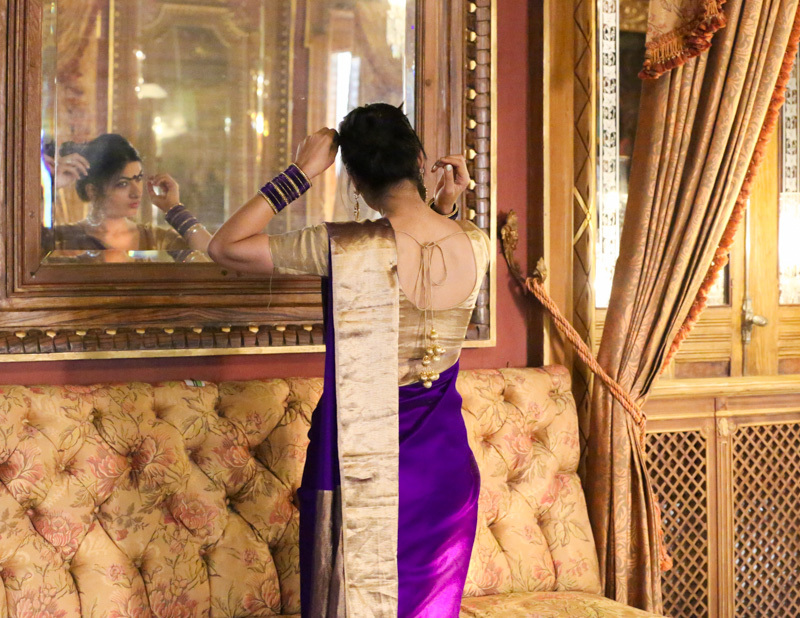 I was waiting for your next post… You look stunning Rati.. Love the saree.. Love the elegance.. Truly amazing..
You looking so lovely Rati. 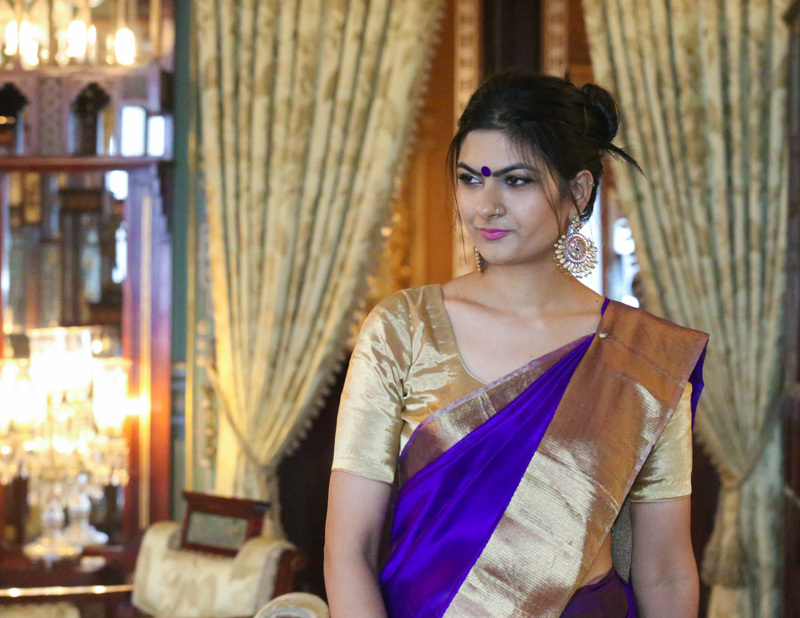 First time in a very traditional saree. Color suits you and you have put the whole ensemble together very well. Really gorgeous!!! The Taj definitely looking even grander because of you. 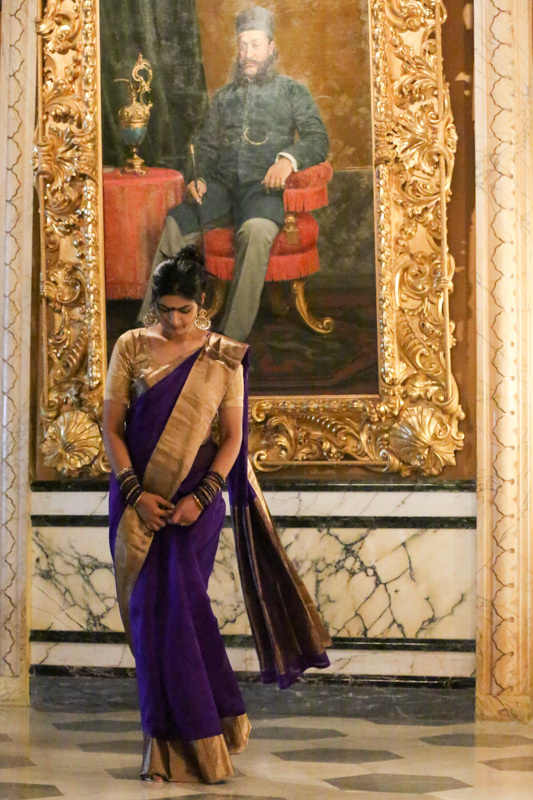 How you wore this sari so perfectly? Super! 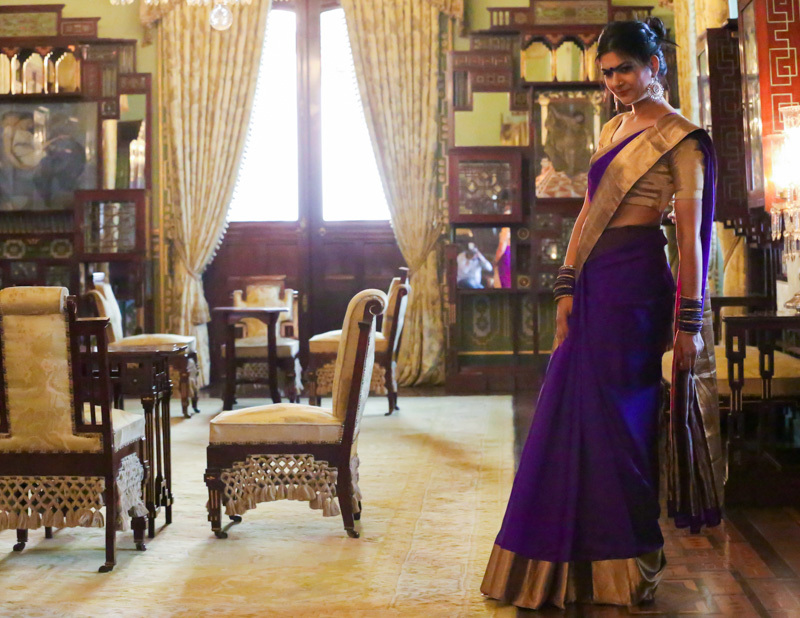 Love how u have perfectly draped the saree!! U did it urself ? And amazing clicks. 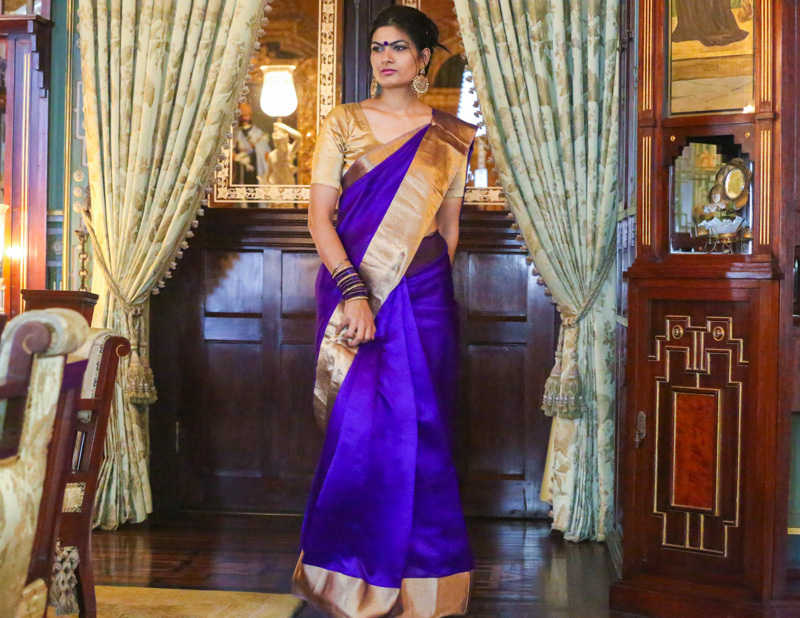 I love the purple-gold combination, very apt considering the place you guys are in was inhabited by royalty!! 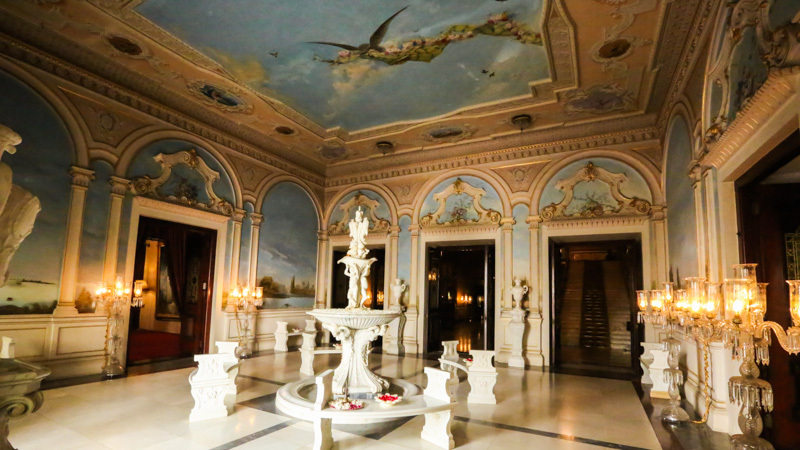 Gorgeous palace, it’s almost like living a fairytale, to see how kings and queens used to live. 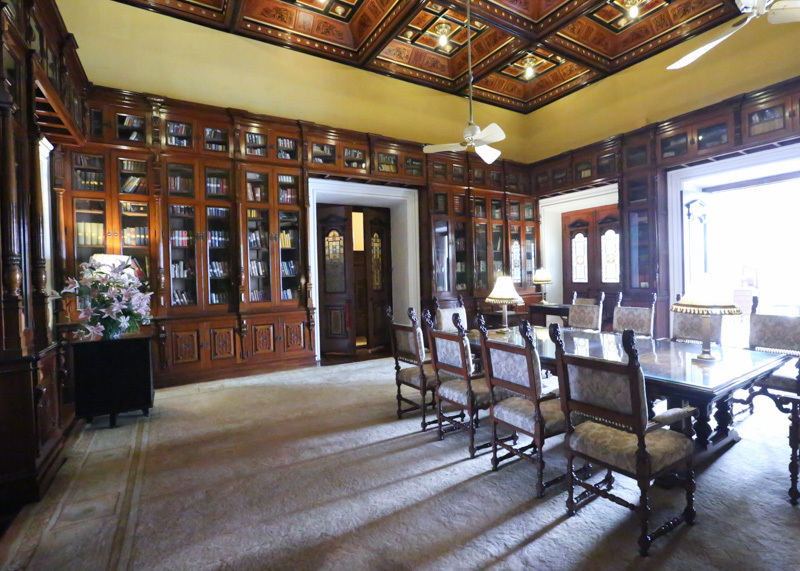 I hope you’re also getting to taste some of the most amazing Nizami recipes there! The anarkali in your previous post look stunning on you 🙂 looking forward to more pics! I garee this was true royalty. And I am more than grateful to be able to experience that. :)) Yes enjoying a whooole lot of food here. hahha!! Awesome 😀 post pics of that also 😛 😛 what plans for Diwali this time? Going home? You look so pretty, elegant, classy and fabulous. Loved the saree and more so on you!!! You draped it so well. You did it or someone else draped it? 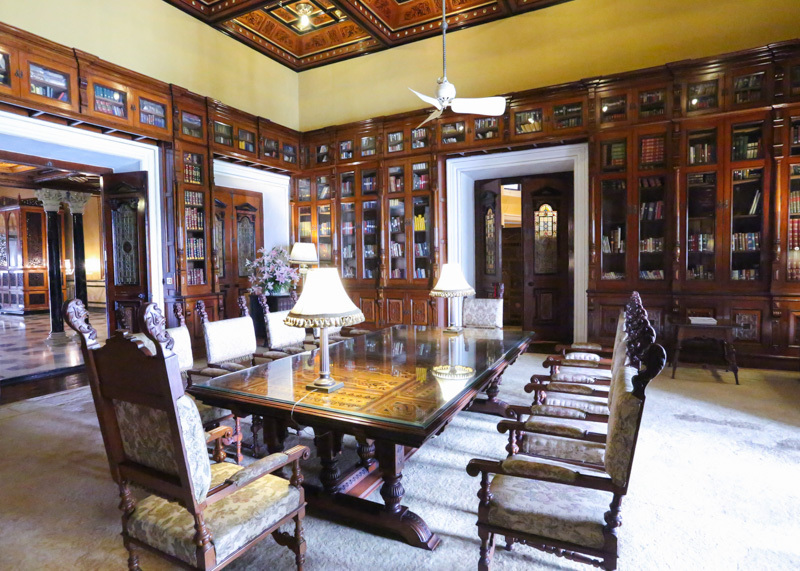 The pics are royal, totally and you have added your bit in them too! Muuuaahhh. I have been following this since 1 year and now i dared to write a comment atleast..You guys are rocking…. Like a Queen in her palace! Oh.. and I love the dining hall!